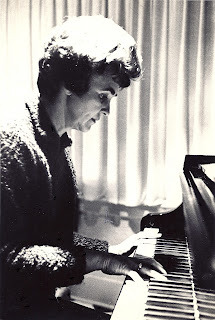 ALICE'S ARCHIVES is a blog dedicated to the memory of ALICE MULLEN (1918-2006). She was Principal Keyboard with the Kalamazoo Symphony Orchestra for nearly forty years. MEMORABILIA, dating from the 1950s to the year 2000.
the decade you want, and find PHOTOS, REVIEWS, ARTICLES, PROGRAMS AND ADS. Check back often for new postings and updates. All KALAMAZOO GAZETTE reviews, articles and photos are used with their permission. The Story of the Kalamazoo Symphony. Alice believed in the power of great symphonic music to uplift the human condition. literature. She instilled in her children a love of all the arts.